Late last month, around 54 million Pakistanis went to the polls in a hotly contested fight between the old incumbents represented by former PM Nawaz Sharif’s party and political outsider and former cricket star Imran Khan. Although the new government has yet to take office, Khan, who as of Monday has won the most seats in parliament, is expected to realize his long-term aim of becoming prime minister. Having run on a platform of ending corruption and promoting human development, expectations are high especially amongst his younger urban supporters. However, he takes over at a time when Pakistan faces a serious economic challenge and its relations with key global players are under strain. Mirroring the buzz around Naya Pakistan (New Pakistan) inside the country, Pakistan economy watchers in Washington, DC are also engaged in a lively discussion on how the new economic team should deal with the imminent challenges facing the economy. Taking advantage of the number of eminent Pakistani economists in Washington, I convened a roundtable last week to discuss these issues with them and other experts in the field. The discussion was led by Ishrat Husain, former governor of the State Bank of Pakistan. As the meeting was under Chatham House rules, I won’t report on the discussion itself but the three key messages I took away were encouraging: 1) there was a broad consensus on the nature of the problem; 2) a similar consensus on what needs to be done and why previous attempts to fix it have been unsuccessful; and 3) a degree of guarded optimism that a PTI-led government, without the historical baggage and the vested interests, has a reasonable chance of success in putting Pakistan’s economy on a more sustainable growth path. More on our key takeaways below. Averting the clear and present danger of an imminent foreign exchange crisis is the first order of business for the new economic team. With forex reserves at $10 billion and falling, a budget deficit exceeding 7 percent of GDP, and the largest current account deficit in its history, there is little time to delay long overdue action to stem the hemorrhage and stabilize the economy. Nor is there any value in spending weeks or months exploring illusory heterodox solutions to what is a textbook problem of macroeconomic mismanagement. A macro stabilization program with an inevitable short-term negative impact on living standards will therefore be required to correct these twin imbalances. It is important to both recognize this reality and to prepare the country for it, especially after the populist rhetoric that characterized the economic debate in the run-up to the elections. However, careful design of the program can ensure that the negative impacts are minimized for the poor and vulnerable. Even in the near term, a combination of better tax administration and curtailing losses of public enterprises could reduce the fiscal deficit by 2-3 percent of GDP. The recent 14 percent increase in exports and continued action to bring the exchange rate in line with economic fundamentals will help to bring the current account gap to more manageable levels. Unless the macro stabilization effort is embedded in a broader program that addresses the underlying structural weaknesses of the economy, it will only buy short term stability until the next economic crisis. The proximate causes of the macro crisis—a large and growing imbalance between government spending and tax revenues and an even sharper worsening of the gap between exports and imports—are both the result of chronic weaknesses in Pakistan’s economy. They reflect a combination of structural, institutional, and cyclical factors which make Pakistan prone to such macroeconomic crises every few years. The inescapable lesson from the history of Pakistan’s economic management is that a band-aid approach to stabilizing the economy without addressing chronic underlying weaknesses is the principal reason for the country’s proclivity to repeated financial crises. The key elements of a broader structural reform agenda have been identified and studied over many years. Whether it’s broadening the tax base and rationalizing an increasingly oppressive and distorted structure of taxes; privatizing and commercializing the scores of loss making public enterprises (of which the Pakistan Steel Mill, PIA and the Pakistan Railways lead the pack but many smaller ones hide in the slipstream); ensuring that government spending on education and health is both raised and made more effective to start improving Pakistan’s dismal human development indicators; or addressing the distortions and anti-export bias in the business environment—the technical solutions are sufficiently clear to initiate decisive actions. The main impediment to transformative structural reform has been the lack of political will. In the face of crisis, many governments—civilian and military—have managed to take the actions necessary to stabilize the situation. However, it has proven far harder to follow through on the key structural reforms even when the technical solutions were clear. The pressure of powerful lobbies (often backers of the government in power) and an overactive judiciary have stymied the good intentions with which incoming governments have started their term in office. Halfway through that term, most governments have become defenders and apologists for the status quo. It is also critical to develop a broad enough political consensus on a national economic agenda. Developing such a consensus is the most important challenge that will determine the success of the new economic team. The lobbies and vested interests that blocked previous attempts at economic reform may be temporarily weakened—and it is important to take advantage of the initial honeymoon period to take some important if unpopular decisions. But in the longer term, transformative and sustained economic reforms will only come about if the government can build and carry a broad-based coalition of support for these actions. An essential start to building such a coalition would be to recognize and continue the positive reforms and initiatives of the previous government. An important lesson of cross-country experience is that investors like it when any government adopts positive economic policies but they are most impressed when the positive policies of one government are celebrated and maintained by their successors. Recourse to the IMF will be a necessary but insufficient solution to manage the near-term macroeconomic problem. It is unrealistic to think that the external financial support required to deal with gross external financing needs of between $25-30 billion in each of the next five years can be met without the imprimatur of the IMF or its own financial contribution. It is also misguided to believe that without IMF engagement, the necessary stabilization program would entail less pain. The underlying imbalances still need to be curtailed, and without the IMF (and related) financing, the adjustment to aggregate demand will be larger and more painful. However, the IMF will not be able to provide all the financing that is needed from its own account without some commitments by Pakistan’s other creditors. It is important therefore to engage early and constructively in a dialogue with those creditors. Also, mirroring the earlier comment about the importance of embedding the macro stabilization effort in a broader structural reform program, any IMF program must be complemented by complementary programs addressing issues outside the IMF’s core competence but essential to the realization of Pakistan’s economic transformation vision. The China Pakistan Economic Corridor (CPEC), an approximately $60 billion program of infrastructure and energy projects that is part of the larger Belt and Road Project, is an important reality but the hype around it has created both unrealistic expectations and exaggerated concerns. Unrealistic expectations about the near-term impact on growth and exports of CPEC funded projects have led to imprudent financing and fuzzy thinking about how their balance of payments consequences will be managed. Equally, a lack of clarity about just how much of the oft-cited $60-odd billion has actually been committed or disbursed (answer: probably less than a third) has led to an exaggerated worry about the role of CPEC in any package of international support. A new beginning but with many challenges ahead. 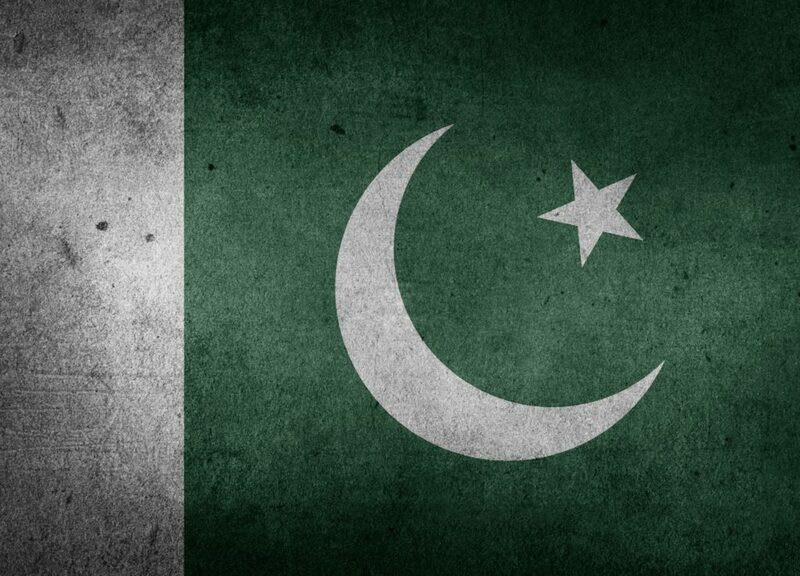 PTI’s focus on governance and on human development, combined with its track record of service delivery in Khyber Pakhtoonkhwa, the province it has governed for five years, provide some grounds for optimism that it will make a more determined effort to address Pakistan’s seemingly intractable problems of political economy. However, there is also a concern that many of these problems will require taking on powerful vested interests and the political polarization of the country will make it harder to build the necessary cross party consensus on transformative reforms. Of course, it is early days and the roundtable participants were both willing to give the new team time to settle in and hopeful that this time will be different.